Can an Auto Insurance Company Audit My Medical Records? As your insurance claim moves through the process, the adjuster may request all documentation regarding your injuries and medical treatments received for those injuries. In some cases, you may be required to submit to an independent medical examination (IME) in order to establish your injuries. 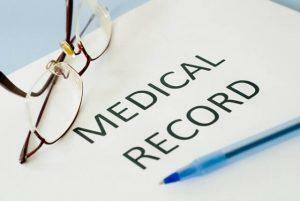 Can Insurance Adjusters Request Medical Records? If there is any indication of a previous injury, the insurance claims adjuster may request medical records to assess that previous injury – and whether or not it was aggravated by the current incident or unrelated to the current injuries. While the adjuster can request medical records and further documentation, it is up to you if you want to provide him or her with the information. If the request is unreasonable, your attorney may reject the request. Also, you can request that the insurance adjuster pay for records – since it will cost to make copies and send official records. You can request the records to be sent to you first, so that you and your attorney can remove any information that does not pertain to the accident before sending on to the adjuster. Unfortunately, insurance claims adjusters have one job: To reduce or dismiss the settlement. In order to do that, he or she may request medical records to examine your medical history and see if there is anything to use against you – sometimes, even to embarrass you. If the request seems unreasonable or if there is a request of records unrelated to your injury, you do not have to comply. Instead, your attorney can request that the insurance adjuster explain why these records are needed, and if the answer is not convincing, or he or she is clearly intruding on your privacy, your attorney can reject the request. If your case goes to court, your attorney and the defense attorney will be able to argue about your medical records – especially when the adjuster is requesting records that are irrelevant to the claim. Sometimes, an adjuster may request an IME instead of your medical records, or in conjunction with your records. The IME is often used when there is a question about the seriousness of your injury – such as two medical professionals with conflicting opinions. The insurance company will have you meet with a doctor of its choice for an examination to determine the true extent of the injuries. It is important to note that these are rarely ordered – because the insurer has to pay for the examination and doctor’s fee. You are not required to submit to the IME, unless it is a claim with your own insurance company – and your insurance policy requires you go to an IME as part of your policy. If you have been injured in a car accident, contact an attorney in Atlanta right away. An attorney from Van Sant Law, can review requests from insurance claims adjusters and ensure that you are only subjecting yourself to medical inquiries relevant to your claim. Schedule a free, no-obligation consultation today with our attorneys at 404-991-5950. You can also ask a question online.